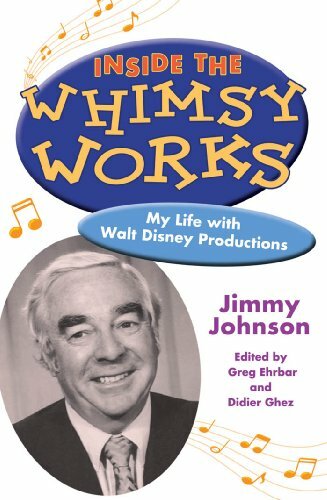 In this never-before-published memoir from the files of The Walt Disney Archives, Disney Legend Jimmy Johnson (1917-1976) takes you from his beginnings as a studio gofer during the days of Snow White and the Seven Dwarfs to the opening of Walt Disney World Resort. Johnson relates dozens of personal anecdotes with famous celebrities, beloved artists, and, of course, Walt and Roy Disney. This audiobook, also the story of how an empire-within-an-empire is born and nurtured, traces Johnson's innovations in merchandising, publishing, and direct marketing, to the formation of what is now Walt Disney Records. This fascinating autobiography explains how the records helped determine the course of Disney Theme Parks, television, and film through best-selling recordings by icons such as Annette Funicello, Fess Parker, Julie Andrews, Louis Armstrong, and Leopold Stokowski and the Philadelphia Orchestra. The book is published by the University Press of Mississippi.